The Federal Government of Nigeria (FGN) Savings Bond is a bond being issued by the Debt Management Office on behalf of the FGN. 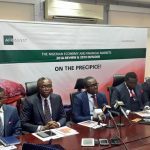 The bond issuance is part of the Federal Government’s programme to encourage small savers and it helps them earn more income (interest) when compared to their savings accounts with banks. FGN Bond is a debt security (liability) of the FGN backed by the ‘full faith and credit’ of the Federal Government and no default risk, meaning that it is a safe investment where interest will be paid at regular intervals and principal repaid at maturity. 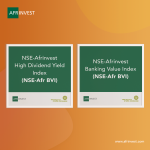 Afrinvest Securities Limited has been appointed as one of the agents designated through the Nigerian Stock Exchange (NSE) to offer this product. Denomination: Minimum subscription of N5,000 and a maximum of N50 million. Interest Payment: Fixed interest will be paid every quarter. Tenor: 2 – 3 years tenor. Frequency of Issue: It will be issued on a Monthly Basis through Offer for Subscription. Subscription Period: The offer will be open for 5 days from the date of announcement. The interest income from the Savings Bond are tax-free. The bondholder enjoys interest every quarter. It makes it possible for individuals to plan and save towards personal projects. The savings bond are considered liquid as it would be tradeable on the Nigerian Stock Exchange. The FGN Savings Bond Certificate can be used as collateral for loans. It offers guaranteed returns, and encourages financial inclusion among low-income households. It enables individuals to enjoy those benefits which accrue to high-net-worth investors in the capital market. Fill the form (and submit KYC documents) indicating the amount you want to buy. Interest rate would be determined by the DMO and investors would be pre-informed before the sale. 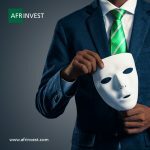 Send an email to brokerage@afrinvest.com as soon as you effect payment/transfer into our bank account.